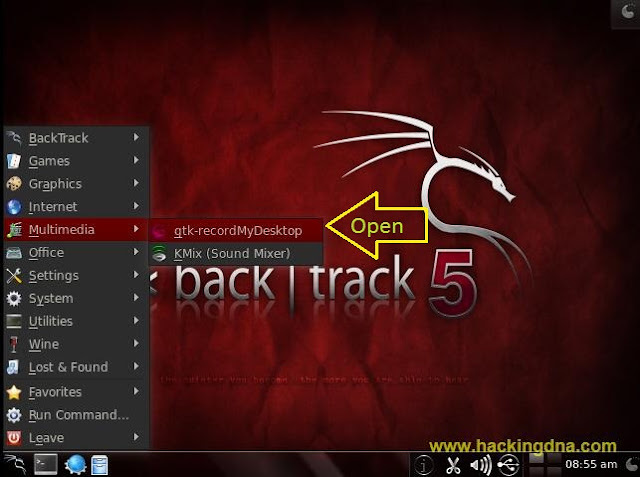 recordMyDesktop - record desktop sessions to an Ogg-Theora-Vorbis file. 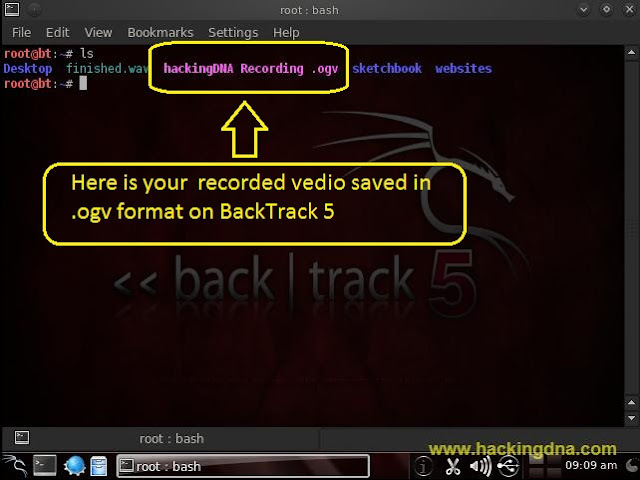 recordMyDesktop produces a file(default out.ogv) that contains a video and audio recording of a linux desktop session. As you press the enter key , your recordMyDesktop will open . From Save As Button you can enter the name of the file and select the location where you want the output file . 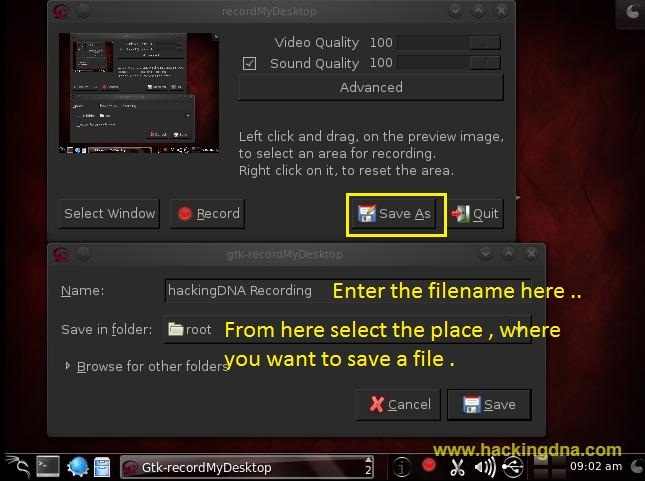 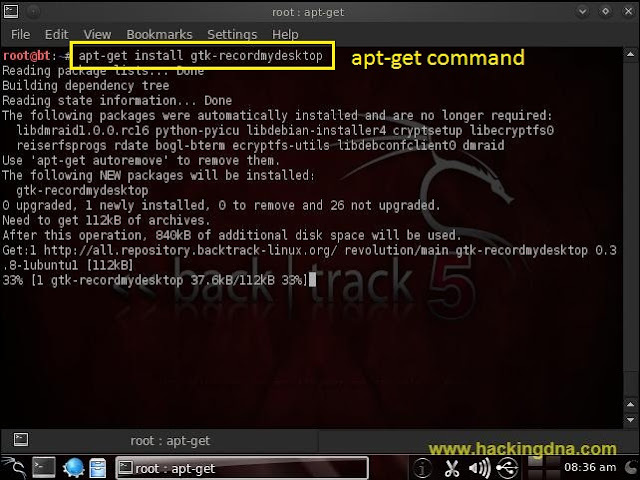 Here in my case , I have enter hackingDNA Recording as a file name and location is root . After setting , click on the Record Button . 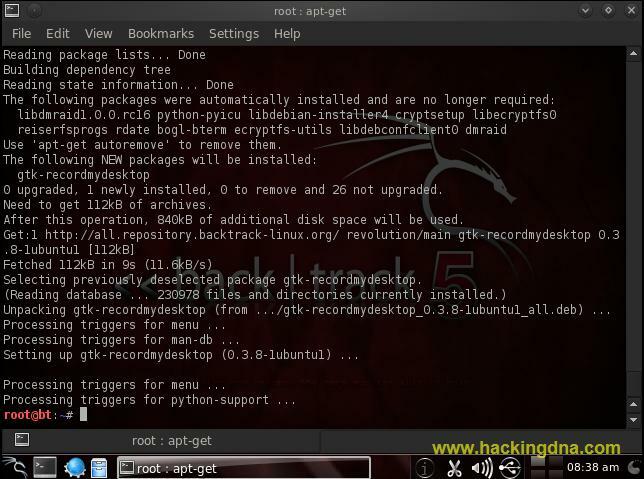 Here is your hackingDNA Recording.ogv file in root directory . You can run this file on vlc media player .